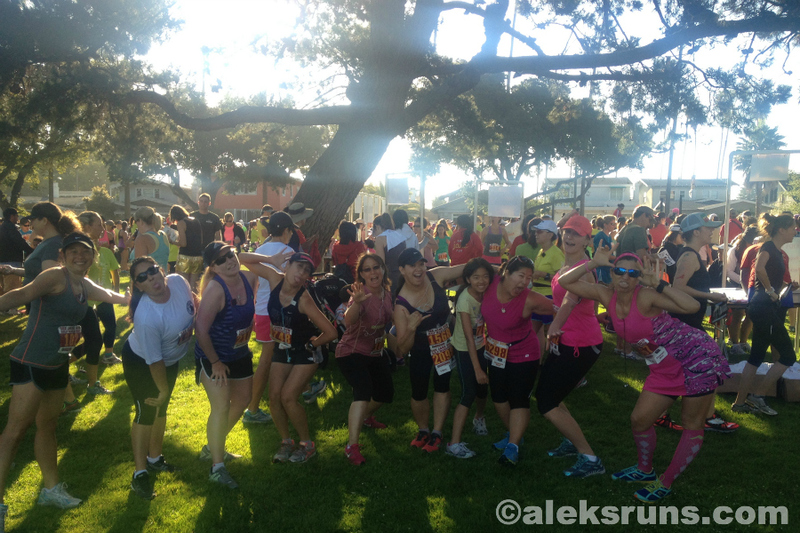 That running is better with friends is no secret. Racing, too. Even if you only have time to meet up and hang out with a group of pals pre- or post-race to goof around… or imbibe a glass of champagne in good company, the experience is priceless. You know what else is priceless? 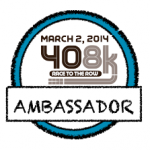 The savings that many race directors are offering these days if you sign up as a team. That’s right! 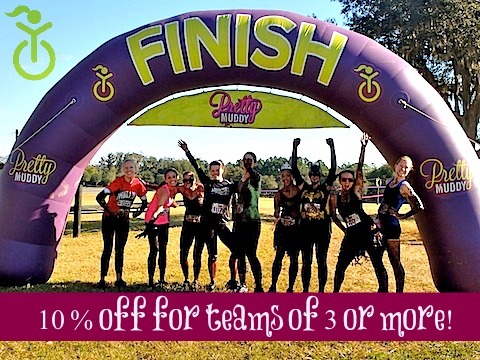 Find a group, sign up together, and you can save as much as 20%-30% off your reg fee! Here are a few examples I came across recently. 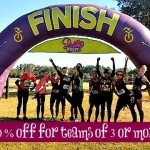 These are by no means the only ones around, so before you register for your next race, it might be worth it to email the organizers and ask them if they can offer you a team discount. You’ll thank me later! 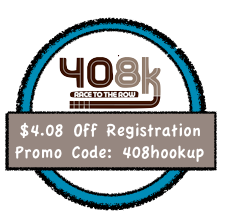 A 10% discount for teams of three or more; that’s $4.14 off the $41.40 registration fee. Free post-race latte, hello! 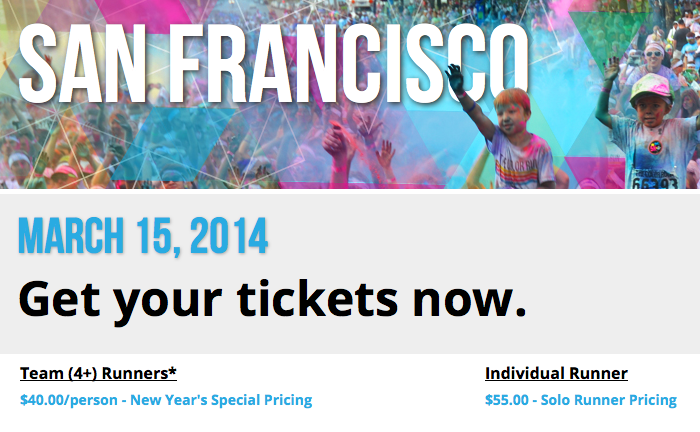 Yup, $15 cheaper – a 27% discount! 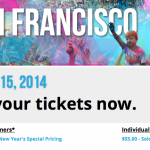 – if you register with a team of four for the San Francisco run. Each location seems to have different pricing (and discounts), so be sure to check yours. Gathering up all your friends for this one pays off! The San Jose 8 kilometer race offers $10 off (20%) the $48 fee for groups of 10 or more, and $15 off (30%) for groups of 50 or more. Can’t swing that many people? Use the coupon code below – 408hookup – for a $4.08 discount. What’d I tell ya? 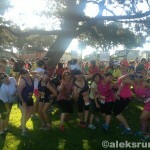 Running with friends is priceless – and racing with them can bring down the price of those costly reg fees quite a bit! Do you know of any other discounts for team registrations? Let me know and we’ll add to the list! ← Start Out the New Year Right!